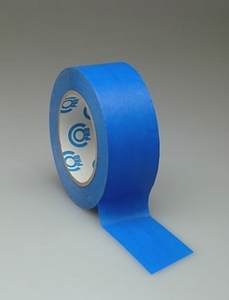 Includes one case containing 16 rolls of 3" x 60yds 3" Pro Scenic Blue Easy Release Masking Tape. Pro-Scenic Blue Mask is a high performance blue crepe paper, coated with an acrylic adhesive. The acrylic adhesive system provides clean removability from a wide variety of surfaces for up to 14 days. Pro-Scenic offers excellent conformability and tensile strength for the most demanding paint applications.